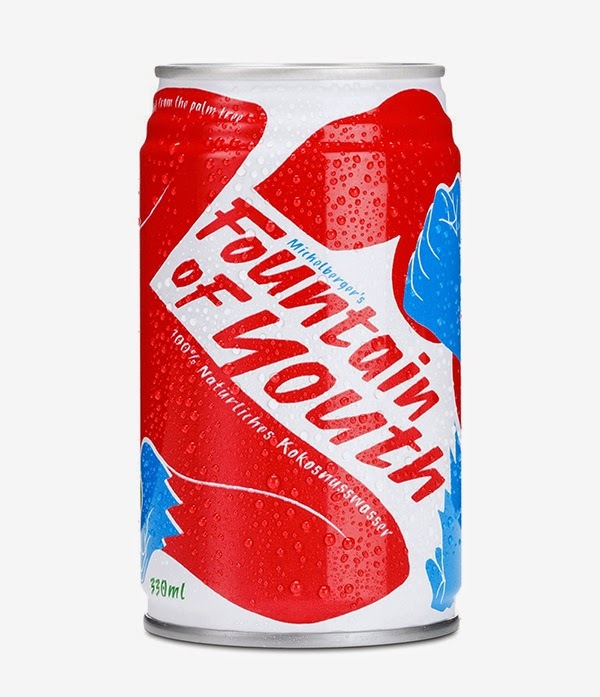 Fountain of Youth is a natural coconut drink made by Berlin's Michelberger Hotel. Made from 100% raw, natural coconut water, the drink is bottled and sealed right after the coconut is opened for maximum vitality and freshness. The company works closely with small-scale farmers from a region of Thailand to capture the natural sweetness of the coconuts. 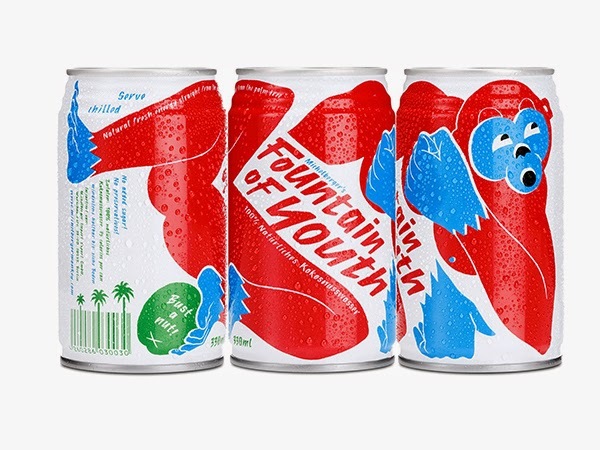 The vibrant design and branding of the can reflects the Michelberger Hotel's distinctive style, which subscribers can read more about in our hospitality report on Lifestyle branding.